For nearly 70 years, Principia College has opened its campus each summer to Christian Scientists from around the world for an inspiring two-week program of fun and enrichment. Our next Summer Session takes place June 15–29, 2019. Don't miss this opportunity for spiritual, academic, and social refreshment. You'll also discover why we call it "the perfect vacation!" You're welcome to join us for one week or two. Either way, you'll enjoy a wide range of classes and a variety of evening entertainment options. You can also take advantage of the many campus resources, from our well-stocked library to our state-of-the-art fitness center. This is your chance to be a student again and revel in the intellectual stimulation—and fun—of college life . . . without papers and grades this time! See highlights from our 2018 summer program in the slideshow above, and click here for the listing of upcoming courses by category and here to see courses by hour. Whatever your plans for 2019, be sure to include Summer Session. We’d love to have you join us! Questions? Email Principia Lifelong Learning or call 618.374.5211. 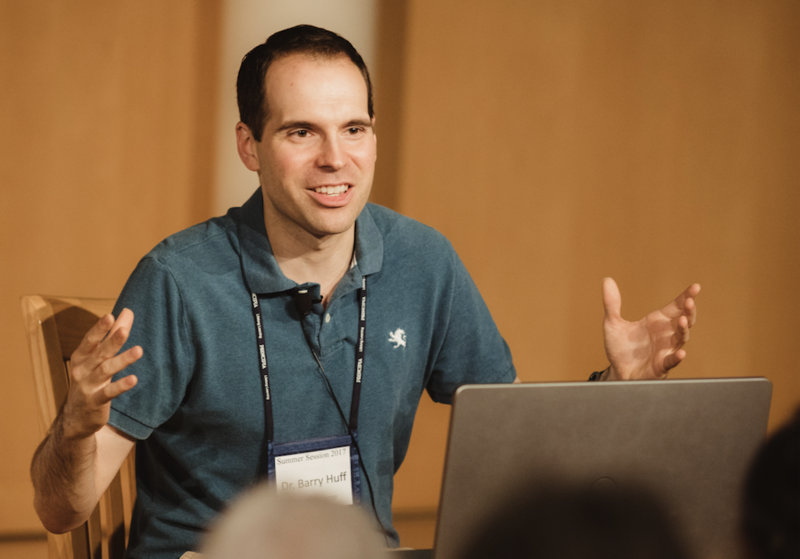 Get to know some of the perennial favorites among our Summer Session faculty, with areas of expertise ranging from the Bible and history to politics and music.